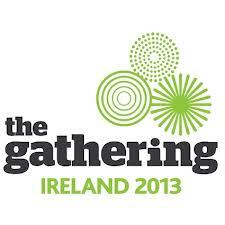 Are you having a Gathering in 2013? …perhaps you are organising a special Gathering Event in your area with friends and family coming home to Ireland from all over the world? If you are having a get together, whether itÂ be a small family affairÂ or a big Gathering, why not get in touch with Phillip, a professional photographer, to document your event, with some candid shots along with group shots so that you will have memories to share with the generations to come. Contact Phillip at info [at] stratfordphotography.ie, or at the above link.